Edinburgh is a tourist’s paradise filled with restaurants, historic landmarks and breathtaking scenery. 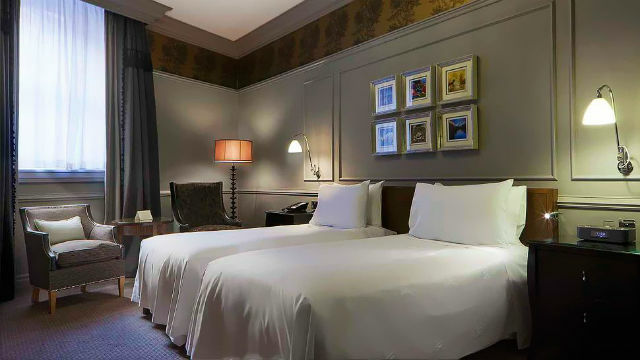 If you are in the city for a long weekend, overnight or longer then you need somewhere luxurious to stay and thankfully the capital is prime with luxury accommodation. So here is the TLE top luxury hotels in our favourite city. After four years of renovation, the iconic building at 42 St Andrew Square, formerly the headquarters of the Royal Bank of Scotland, opened again in the summer of 2018 after being given a new lease of life as The Edinburgh Grand. The 5o luxury apartments located truly at the heart of the city are second to none in style and sophistication. Incorporating the original features of the building into the new design, all the rooms at The Edinburgh Grand mix old and new and contemporary and traditional together with ease. The three bedroom penthouse is the pièce de résistance and offers unrivalled 360 panoramic views of Edinburgh. 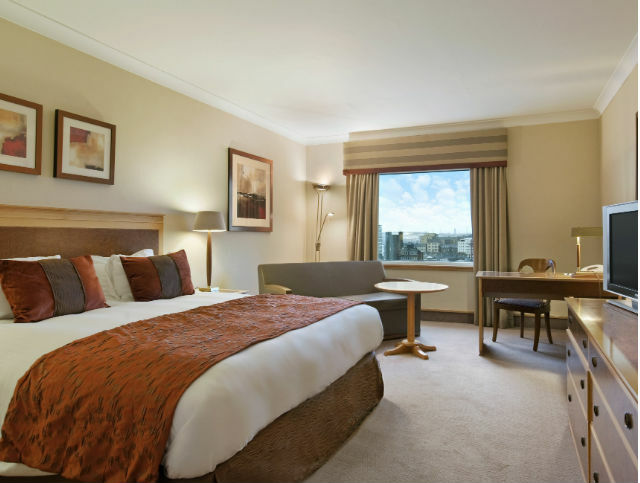 The Sheraton Grand Hotel & Spa is a true destination of bliss and luxury in the heart of Edinburgh. Many of the rooms overlook Edinburgh Castle, and most other major attractions in the heart of the city are easily within walking distance. Along with offering more than 260 rooms and suites, making it one of the bigger luxury hotels in Edinburgh and the Sheraton Grand Hotel & Spa possibly has one of the best spa’s in the city. Swing by One Square, the onsite restaurant and bar, for a variety of British fare and a lively but sophisticated bar atmosphere. Known for romance and style, Malmaison Edinburgh is popular with younger guests who are in the city for pleasure rather than business. Located down in Leith docks, this once house of ill-repute is now a beautiful 100 room (and suite) boutique hotel with onsite spa brasserie and bar. A great summertime location as they have a large outdoor seating area making it an excellent choice for a glass of wine to unwine after a days sightseeing in the city. 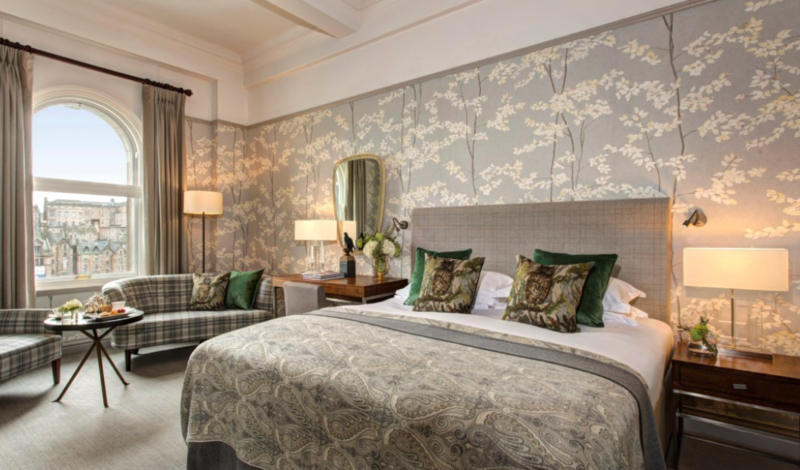 Once better known as the Caledonian, the Waldorf Astoria Edinburgh underwent an extensive renovation to bring it into the Waldorf a few years ago. These upgrades resulted in the hotel winning awards like the Luxury Hotel of the Year and the Spa of the Year, among others, for 2014. Whether you opt for a classic room or a luxury suite with a view of Edinburgh Castle, expect sumptuous linens and muted colours that signify class and elegance. 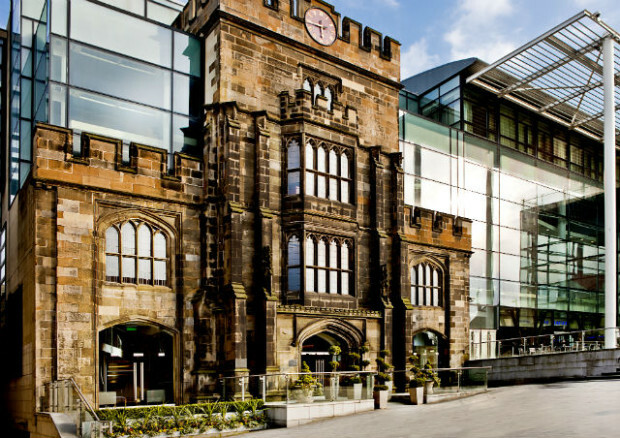 Definitely not lacking in style or colour, this five-star boutique hotel on the Royal Mile is a stunning contemporary landmark in a city known for its historic architecture. 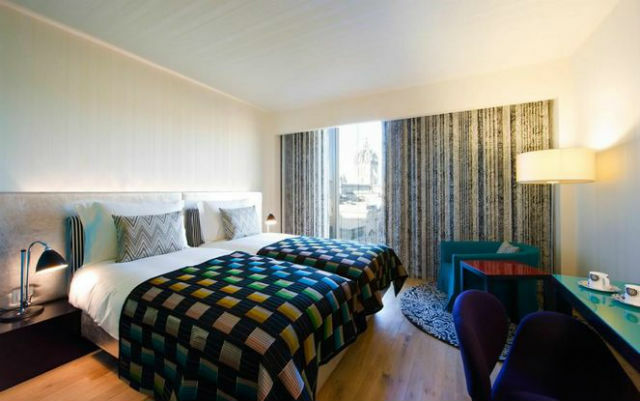 Filled with monochrome prints and flashes of colour, the G&V Royal Mile Hotel is a showpiece for modern Scottish design. From textiles to luxury toiletries, furniture to amenities, you’ll be rewarded with some most stunning and beautiful surroundings. Possibly one of the most iconic hotels in the city, The Balmoral building and it’s clocktower are certainly renowned landmarks on the Edinburgh skyline. 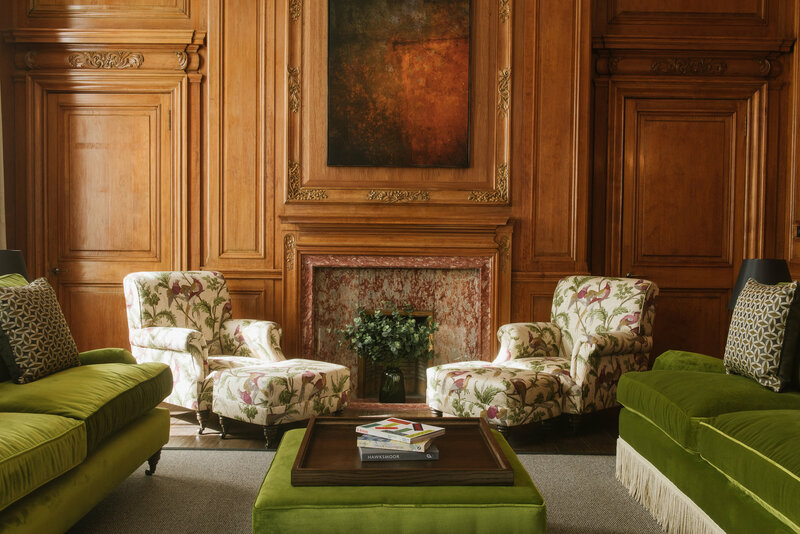 This beautiful hotel from Rocco Forte is know for its elegance and timeless glamour and located at a prestigious address, No. 1 Princes Street. Its situation means it boasts stunning views of the city with many of the suites and premium rooms offering views of the castle. It’s facilities are also world-class including a fantastic spa and Michelin-starred restaurant .